Synthio is the first of its kind Data as a Service software that automates the cleansing, standardization, and synthesis of contact data to make it actionable for immediate use. From merging non-standard or free-form data into a single usable dataset, to de-duplication, standardization, strategic augmentation, or simply understanding more about your own data through a data health analysis, Synthio meets every contact data need of the modern marketer. "Mixed bag, Mostly good but some things can still use improvement. " My sales rep, she is always there for me. Regardless of the situation, she works to find a timely solution. She is a delight to talk to. I also like the detail provided with the risk assessment. The color grading and status information fields are very helpful. For instance, timeout/yellow. Another huge benefit is unlimited seats that allow anyone in my organization to have their own separate account without nickel and diming me for every user. That's a huge plus. Searching is still lackluster despite the recent improvements in the latest release. Either I can't find what I want or I find some records I want but a bunch that I don't need. Since there is no preview file function there is no way to select what I need and leave out what I don't. Every download I find dozens or hundreds of records for people and titles I don't need. Then I have to keep a refund spreadsheet to send back to SIO. If they would just create a preview file function that provides a spreadsheet of your records minus email phone and name that would solve all my problems. I also don't like how they stopped including the LinkedIn URLs for records. In my opinion, it's a good system but needs improvement. The great thing about SIO is they listen to user frustrations. They are constantly improving the UI and functionality to meet user preference. It may not be a perfect system but they are always striving to be. Low-cost, quality contact data procurement that can be accessed by absolutely anyone in my organization. "Easy access to accurate contact data with excellent customer service and support"
This is maybe the most exhaustive and accurate database I have seen, especially for certain job titles and geographies. The search and filter features are very user friendly and intuitive. The criteria requested enable you to define the exact audience list you want to achieve, based on your campaign goals and buyer personas. The Synthio team is always available to answer questions or provide training. The results are sometimes not reflective of the search criteria you build in. This then requires you to manually review the results at least once after the retrieval of the csv file. The data is less populous for geographies outside the US. We have managed to quickly and effortlessly identify and build target audience universes for multiple market segments /verticals, including accurate email lists that have a low bounce rate. "Great product for finding contact information"
It has a lot of relevant information that seems to be pulled directly from people's LinkedIn profiles. I believe this provides the best up-to-date data for people and helps to set a high level of quality for the information provided. The interface is also very easy to use and is very straight-forward. The search engine and list builder provides the user with an easy way to build contact lists, find contact information, and allows you to target specific prospects based on a wide variety of filters (location, title, location, etc.). Sometimes, like with any other data provider, the information isn't accurate. The information is only as good as their LinkedIn profile, so if that isn't updated, the information on here isn't either. I have also found that the phone numbers for prospects are not typically direct and aren't always correct. We have access to an incredible amount of information on contacts that we can use for sales. This tool allows us to gain access to real-time information on our prospects and increases the amount of people we are able to reach out to. The quality of data and ability to segment by different criteria including technology install, geo location, title department, industry, etc. Before exporting a list Synthio will do a live email ping to the record which validates the email and allows you to only pull quality data from the system. The live append feature is great which automatically pushes information onto our lead record after that lead is created in Salesforce. Synthio has taken significant steps forward in the last several months to normalize their data which makes building lists and extracting data easier. The constant investment they put in the platform is noticed by continuous new features and functionality being released. No ability to pull information by account. In order to build account lists you have to pull broader contact/lead lists and dedupe to manage company information. There is an ability to suppress against current emails in your database (so you arent hitting existing contacts) but that is a manual process of exporting a list of contacts from salesforce and loading those emails into Synthio to suppress. It would be great to have tighter Salesforce integration so you could suppress within the app. Yes I would recommend Synthio. The product is solid and improvements are continual. Support is top notch. -Live append data on leads as they are loaded into Salesforce. Synthio scans and appends missing/incorrect information on leads that are entered manually by the SDR team, mass from an excel upload (webinar), and automatically from form downloads on our website. This allows us to ask fewer questions on inbound marketing forms and ensure data quality standards so we can better segment and target our database. "Fast customer service & intuitive data ordering platform"
The data ordering process is extremely easy to grasp, and the team @ Synthio is extremely timely in answering any questions and addressing issues brought up by our team. There is not much to be said about what I dislike.. I have found several issues in the platform that I didn't care for but it turns there was a simple fix to toggle that on/off, OR their team addressed and fixed the issue promptly. Additional data for us and our clients, for our marketing emails. Filling in missing data points on contacts already in our system to better engage them. To be honest I do not like the Synthio interface. If I had to say something nice I like the color scheme. There are other services that are better for helping in lead generation. I am using Synthio to prospect- Find emails and direct lines for prospects. The user interface is really easy to navigate. The Synthio account team is very supportive and provides great advice to help get the right data. The preview data allows you to confirm that you've captured the right people. All emails are validated prior to downloading them so you know you won't get caught in spam traps. We are an agency - when we need to bill direct to the customer it can delay access to the file. But, we've got a manual work around with our account team. They are incredibly responsive. We use Synthio to enrich and grow our database as well as those of our clients. Their data gives us greater insight into the audience and allows us to do smarter segmenting. Especially helpful when targeting specific buying committee roles for ABM strategies. "Solid tool for social verified contact data"
- Phone numbers are generally corporate lines or customer service lines. I've found better phone number data using alternative databases for direct dial phone numbers. We use the tool to build targeted lists of contacts/companies to reach out to. The lists are imperative to our Sales team's overall execution and success. They continually update the product to improve it. They listen to their customers and provide great customer service when needed. I have no major dislikes. The need for new data is rampant everywhere and they are trying to help solve it. "As a B2B Marketing Agency Social123 is a critical tool to identify potential clients"
Having access to a vast database of more than 200 million potential leads gives us the opportunity to pull from a comprehensive list of worldwide companies. In addition, the ability to sort by exact criteria allows us to target specific individuals within these companies who are interested in our services. It would be very beneficial if we could sort specifically by B2B companies versus needing to load in our own list of pre-defined companies. Having a criteria to identify not only industry, but marketing orientation would add significant value to the data. We have found many other database/list providers who make significant promises of quality data, but upon research they usually fall flat. Social123 was recommended to us by a large call center that has used them for years and our experience has found their recommendation to be valid. We have also found that many of the list providers out there actually are using Social123 as their provider. As with any company, the competitive environment brings challenges that need to be overcome to continuously grow revenue. Social123 provides the benefit of being able to identify quality leads with a higher probability of design win and shorter time to money. "Simple product, delivers as promised"
Leads are easy to find. I enjoy the import feature for specific companies. Support is responsive and helpful. It's a simple tool but I feel the cost is minimal compared to the use we get out of it. Data could be cleaner and more uniform (i.e. the State field could be PA, Pennsylvania, etc.). Once you go to pull a list there's a list of fields to include in your export, it would be great if I could choose a default set of fields rather than choosing the same ones each time. It would also be nice to save queries for future use. If you're looking for a basic lead gathering tool, this is a great option. This tool helps us create targeted segments even with groups that aren't well represented in our database, helping us expand our reach within the market. I used this Social123 for recruiting purposes. Great way to find new candidates from large companies to poach! "Great people with a wealth of knowledge around how to use data to its most effective way." I do like the validation and append offerings that allow us to cleanse and expand our database. Within Ramped up do not like the criteria to update within SalesForce. Too many potential issues that could be encountered and not a good way to back data out if something does go wrong. We are trying to ensure that we are speaking with the right people at the companies we want to target. We are getting better contact information which allows us to better engage and reach the people we need to. I would say the time it takes to pull contacts from multiple sources when not using this tool is very lengthy. Social123 allows me to do that in just a fraction of the time that way I can spend more time trying to connect with individuals rather then finding them. The fact that after you export the information to an excel spreadsheet, you have to resave another document when trying to edit the form. This creates multiple of the same spreadsheet. You have to change the ways you enter company names in order to pull information. The business problems I am solving is time spent prospecting. The time gained back is really the best benefit of the product as well as the information you are able to gather about an individual. "One of my must-have tools for B2B Demand Generation"
One of the best data services applications I have used in regards to accuracy and user interface. Easy to find leads that match your customer persona and find unique trends with your data. In b2b marketing, leads come from a variety of sources and formats. Before Social123, it was difficult to ensure accuracy of leads after 6months and difficult to see unique trends in data. There's really not anything to complain about with this solution. One of the biggest benefit to this solution is the ability to discover trends with our customer and prospect data and to append lead data from events. Typically event lists will be bare bones (name, email, and company) and with Social123, my data is completely enriched and also extremely accurate. Prospecting by a person's Social media activity, group membership, interests, and, overall behavior makes sense. Each element gives us valuable clues about the business challenges they face which in turn allows our organization the opportunity to offer relevant solutions. The contact data is limited. Direct dial phone numbers would be great as well as their office address. The search functionality is also extremely limited. A save search feature is badly needed along with a way to filter/sort/delete contacts in the search results screen. Our primary function is creating targeted lists for marketing campaigns as well as sales prospecting. Social123 has allowed us to target contacts by specific groups and interests greatly outperforming persona/industry targeting alone. "Great provider of contact data"
Another one to try if you haven't already. A lot of clients I speak with are constantly looking for better sources of contact data. The trouble is it ends up getting logged in your CRM system, is then static (not dynamic) and has a decay rate of 2.5% to 5% per month. Ouch! Size of database and accuracy. When trying to understand a certain segment or sort by certain criteria, Synthio is great. We continue to renew with Synthio. I don't have anything negative to post. "Great Resource for B2B Marketers! " We've used Social123 to help better understand our prospects and create targeted lists. By incorporating company size and other parameters it allows us a better process to do targeted / comprehensive prospecting. The cost can run on the high side depending on your needs. "Great contacts, competitive rates! " Contact acquisition is pretty straightforward but Synthio has done a great job of customer service and competitive rates. I can't think of anything- the service we bought was pretty straightforward. 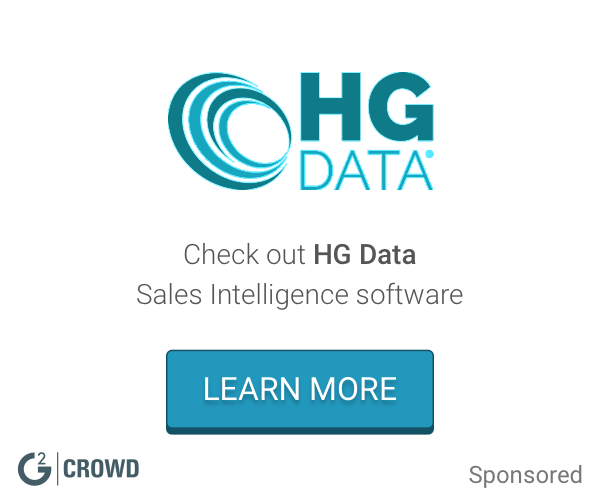 Contacts for outbound sales and lead intelligence! Text size. Maybe I just need to change my phone's settings. When you start working with extremely large data sets, it is difficult to use the app. "Social 123 is great for getting full contact details in Enterprise accounts. " The ability to get thorough contact information for all of the key players in a company. We have saved a considerable amount of time getting key player contact information. * We monitor all Synthio reviews to prevent fraudulent reviews and keep review quality high. We do not post reviews by company employees or direct competitors. Validated reviews require the user to submit a screenshot of the product containing their user ID, in order to verify a user is an actual user of the product. Hi there! Are you looking to implement a solution like Synthio?